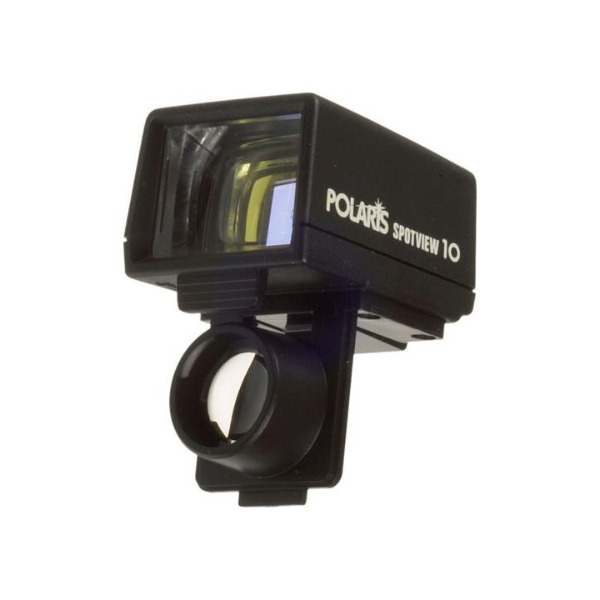 10 Degree Spotview Attachment for Polaris Meter - Turns your Polaris Flash Meter into a 10° spot meter. The Polaris Spotview 10 changes the Polaris Flash Meter into a 10 degree angle spot meter. So you can have an incident-light meter, a reflected-light meter and a spot meter all at once! Spot metering is useful for Extra wide view with gold circle for easy sighting of your subject. Simple clip-on mounting system. The meter retains full sensitivity so no compensations or adjustments are required. Box Dimensions (LxWxH) 3.0 x 2.25 x 1.75"